SVEDKA Vodka has been making its mark since it was first imported in 1998. It's now the 2nd largest imported vodka and the #7 spirit brand in the United States*. And its popularity keeps growing. Imported to the US from Sweden – a country that has been perfecting vodka for centuries – SVEDKA Vodka is proudly named after its country of origin. 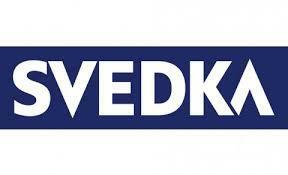 SVEDKA is a mix of the word 'Svenska' (meaning 'Swedish') and 'Vodka' (derived from the Slavic word 'voda'). As these two words are combined, SVEDKA is a name as catchy as it is clever – fitting for a brand renowned for its character, quality, and value. SVEDKA's crisp, distinctive taste profile begins on the shores of Lake Vänern, the largest lake in Sweden, in the small town of Lidköping (population: 25,000). Sweden ranks as one of the cleanest countries in the world**, so it is not surprising that their local ingredients are among the finest as well. Every 750ml bottle of SVEDKA Vodka begins with four pounds of Sweden's hearty, flavorful winter wheat, all harvested from the pastoral farmlands surrounding the distillery in Lidköping. Another key component to SVEDKA's quality is the crystalline water from one of the world's cleanest sources, Sweden's ice-cold underground springs. Continuous distillation -- a method first introduced in the 11th century -- creates ideal conditions for producing top-quality vodka. The "continuous" aspect of the distillation process insures that ingredients are constantly moving so the winter wheat, yeast and water never stalls or pools. At the final stage in this distillation process, SVEDKA is run through high-performance purification columns, five separate times to remove impurities. The end result is outstanding quality SVEDKA Vodka.